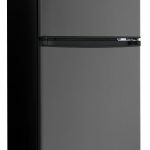 GE® Compact Refrigerator ADA-compliant/UFAS : Built-in capable, requires standard countertop height ..
Easy Access Can Holders : Make the most of your refrigerator space with our Easy Access Can Holders.. 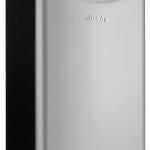 Gallon Door Bin : In-door gallon storage bin provides convenient space for gallon containers and ta..
GE® Double-Door Compact Refrigerator 3.1 cu. 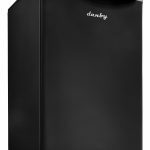 ft. capacity ENERGY STAR® double-door compact refrigera..
Having a separate fridge and freezer is certainly a handy component for an appliance. 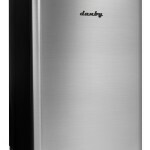 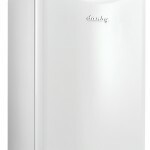 With this blac..
GE® Compact Refrigerator 4.4 cu. 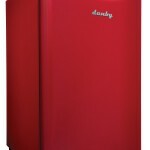 ft. capacity ENERGY STAR® 3 glass shelves : Creates convenient food..